Digitec Galaxus AG, Switzerland’s largest online retailer, today announced that it will begin accepting cryptocurrencies as a form of payment, according to local news outlet Watson. Customers will be able to use bitcoin, Ethereum, XRP and more to pay for consumer electronics and other goods from today. Swiss cryptocurrency fans have been able to buy bitcoin from ticket machines at Swiss Federal Railways stations, since 2016, but have had few places to spend them. Now they will be able to spend their coins on any of Digitec’s 2.7 million products. There are a few restrictions. For now, only Swiss residents will be able to use the service—although it may expand to Germany where it already has an online presence. There is a steep minimum payment of 200 Swiss Francs ($200), but there is no maximum payment. The payment is processed through Coinify, a cryptocurrency exchange, which will charge a 1.5 percent fee for the privilege of changing cryptocurrency into Swiss Francs for Digitec to receive. 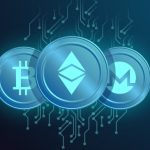 The retailer has chosen to accept a wide range of cryptocurrencies. The full list of supported coins is: Bitcoin (BTC), Bitcoin Cash (BCH), Bitcoin Cash SV (BSV), Ethereum (ETH), XRP (XRP), Binance Coin (BNB), Litecoin (LTC), TRON (TRX), OmiseGo (OMG), and NEO (NEO). This is a positive move in the right direction towards Switzerland’s acceptance of Bitcoin and gives the growing number of startups located in the area—such as investors CV Venture Capital and the blockchain platform Dfinity—a big sign of encouragement.